Apricots are just about the greatest fruit in the world for jam. I love mixing them with strawberries, raspberries, and blueberries for some taste bud exploding yumminess. Last summer my habanero crop was abundant and I was anxious to try something quick and easy with my bushel of apricots. 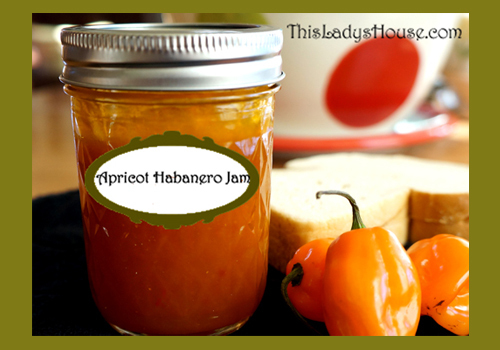 The result was a delicious Habanero Apricot Jam that has the perfect amount of sweetness and kick. My husband eats this on his toast with a fried egg almost every morning! Fill boiling water canner half-full with water. Bring to a boil and simmer. Prepare Habaneros: WEAR GLOVES! Wash peppers, cut in half, remove seeds and core. Prepare Apricots: wash, remove pits and purée with habaneros in a blender. Measure exact amount of sugar and set aside. Put apricot mixture in a large sauce pan over high heat. Stir in pectin. Bring mixture to a rolling boil. Add butter to reduce foaming. Quickly add sugar and return to a rolling boil. Boil for 1 minute, stirring constantly. Remove from heat. Quickly ladle hot liquid into prepared jars. Wipe jar rims and secure two-piece lids tightly. 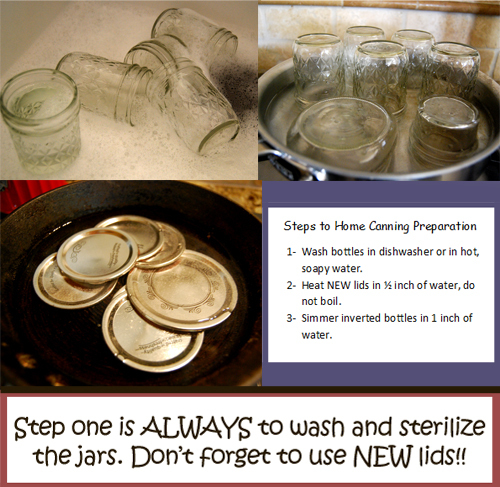 Place jars in boiling water canner, be sure the water covers the jars by 1 to 2 inches. Cover and bring water to a gentle boil. Process jars for 10 minutes. Remove jam from canner and allow cooling for 24 hours before storing. Many apricot habanero preserves have a transparent appearance but these are jellies not jam. This jam looks a bit darker than regular apricot jam. Feel free to add more peppers if you want more heat! Serve over baked chicken or pork!